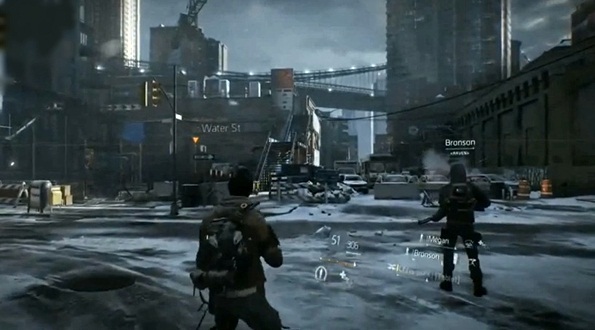 Tom Clancy’s The Division is a game that has been a long time coming. Originally announced at E3 in 2013, gamers are just now seeing the newest title in the Tom Clancy series get closer to its 2016 release. 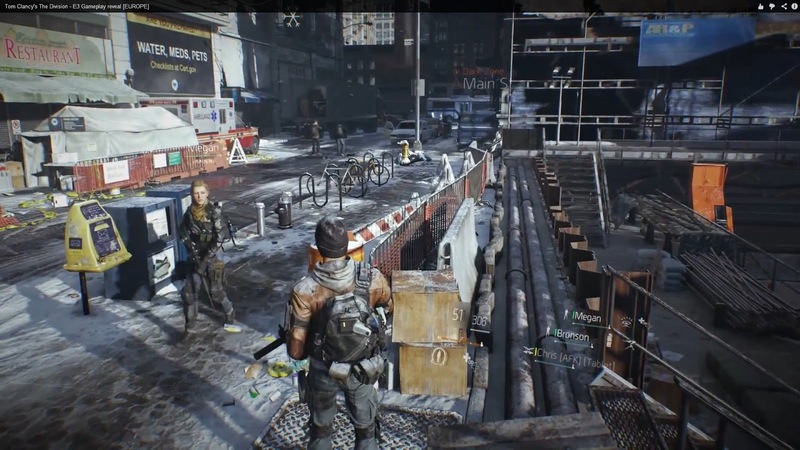 At the Xbox Lounge at San Diego Comic Con, we were able to get our hands on The Division. The multiplayer match let loose three different squads of three, but not necessarily against each other. We started the match friendly with one another. 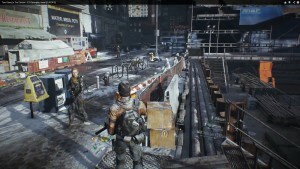 There were various enemies within our respective paths as we began to converge to a drop-zone, but we could easily work together in order to gain an easy extraction. Key word there: could. We didn’t start with any other teams interacting with us. Our squad was nicely balanced between our pre-configured characters, which essentially featured a medic, an ordinance holder, and a suppressor. The full game will offer you the ability to customize nearly all aspects of your character and its loadout. 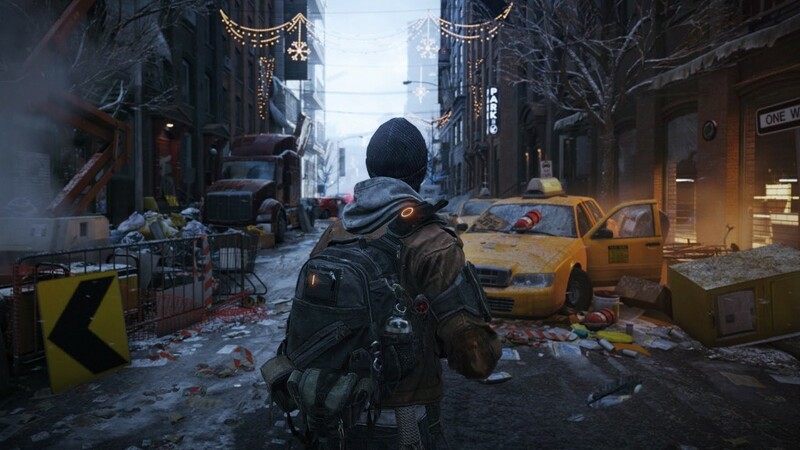 Movement wasn’t heavy on stealth, but cover played a key role in successfully navigating the streets of virus-laden New York. Our team worked in great unison; the suppressor laid down key turrets when needed and our medic would revive as necessary (you do get the option to give up if they aren’t close by, and will respawn within about 10 seconds). We would throw out effective seeker mines when faced with groups. The seeker mine was actually one of my favorite weapon elements, as it will detonate immediately if it senses an enemy, but will come back to your character and follow you around until it finds somebody to kill. It’s a great feature, but the only wonkiness we found was with cancelling a mine throw. No button canceled it, so the follow feature worked out highly in our favor. Once we converged upon an extraction location after picking up equipment to extract, our team was directed not to fire upon the two other teams. Working in harmony will lead to an easier extraction. However, somebody from another team decided to let loose, creating that many more enemies for us to handle. Firing upon friendlies will immediately turn your whole squad into targets and extractions will be far more difficult. Your team will be able to cancel the extraction of others by either killing the requester or destroying the equipment. At one point, we became targets as well. Going rouge will not only make extraction harder, as you have more enemies to kill, but respawn times will also take upwards of 20 seconds. Once all three of us were eliminated, we respawned as friendly again, but ultimately couldn’t get extracted. In all, it was a nearly 20-minute and highly enjoyable demo. We found a nice balance between straight shooter and tactical gameplay. Weapon selection was nice despite being primarily locked into preconfigured loadouts and each of them handled well, with the slightly odd exception of the mine tossing. The only issue we found with general character movement was bouncing between cover, but it only rarely gave us an issue with finding a spot we could actually move towards. 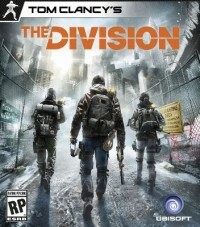 Tom Clancy’s The Division will be out March 8, 2016, but will first feature an Xbox One beta in December 2015, with PC and PlayStation following up in early 2016.